In his second Warlords of Draenor diary entry, Alan talks 40-man raids, garrisons, and huge rideable beasts. 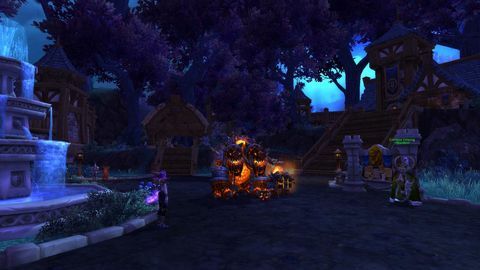 Read the first entry in Alan's Warlords of Draenor diary here. Week two in Draenor had a very different feel about it. 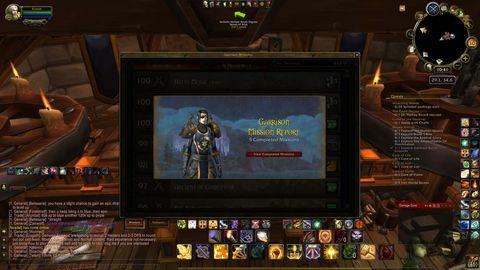 Those who have been around an expansion or two will recognise the shift; it’s that moment when people move on from gloating about beating their guildies to the new max level and start hunting the “best in slot” gear with a vengeance. 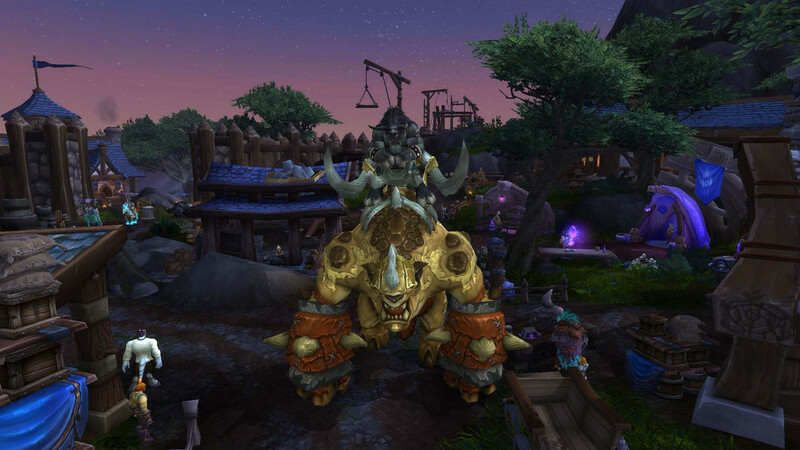 World of Warcraft’s fifth expansion is no different in that regard, and the prices in trade chat for basic, entry-level crafting gear is a reflection: if you raced your trade skills up, there’s a lot of money to be made at the moment. Hunter and core hounds chillin' at the Garrison. 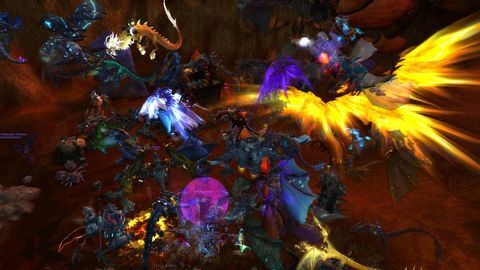 My week started off with a serious blast from the past; a 40-man raid of Molten Core – a level 100 version of the classic instance available for a limited time as part of WoW’s 10-year anniversary celebrations. It was also comedy gold seeing people making all those noobie mistakes most people knew not to make nearly a decade ago. While there were a bunch of guildies in there with me, we’re no longer big enough to muster 40 players all by ourselves, so we had no choice but to reach into the pickup group system for more. While it was neat playing a 40-person instance again, it was also comedy gold seeing people making all those noobie mistakes most people knew not to make nearly a decade ago, when the mechanics of the dungeon were originally conquered. 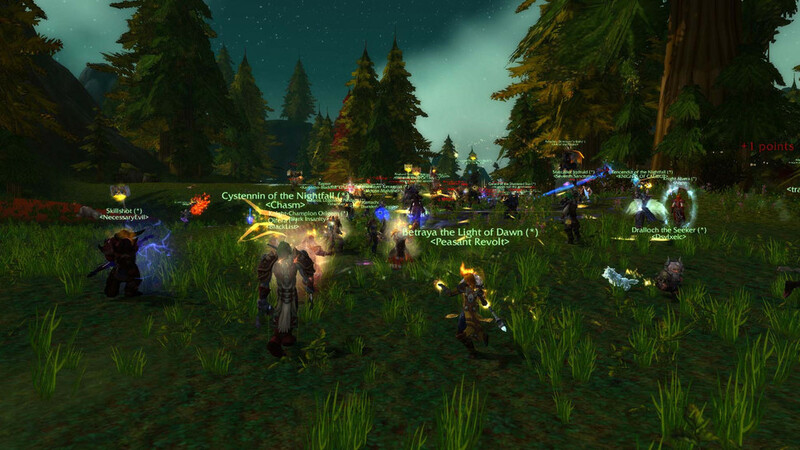 PvP fans don’t miss out on the anniversary flashbacks either, with the new “Battle for Hillsbrad” game that revisits a classic tug-of-war that some may remember from days gone by, when trying to quest in the original Hillsbrad zone when level 60 was as high as you could go. The match is a lot of fun, with no mucking around trying to chase some sort of objective. Instead, it’s pure PvP from beginning to end, with Horde and alliance pushing one another back and forward in a struggle for dominance. It felt amazingly similar to the real thing, in fact, and I hope Blizzard decide to keep it around once the anniversary ends in January. Flexing with a hat from the end of Molten Core. I was also lucky enough to snag a kill of Poundfist. If you haven’t heard about him yet, he’s a rare creature that drops one of the most outrageous-looking mounts to appear in the game yet: a big, ogre-like creature who runs on all fours while you ride around on his back. It’s pretty sweet, and still fairly unusual, although now that everyone that’s involved in the kill gets loot when you kill rare creatures and mounts work across all of your characters, chances are pretty good it will be common eventually. I also finally managed to level my Garrison up to three (the maximum), and it’s now truly impressive to behold. My various buildings are all ticking away, and it seems like there’s always something to do, whether that’s sending followers out on missions, clearing out the mines, or fending off an invasion. It seems like there’s always something to do, whether that’s sending followers out on missions, clearing out the mines, or fending off an invasion. 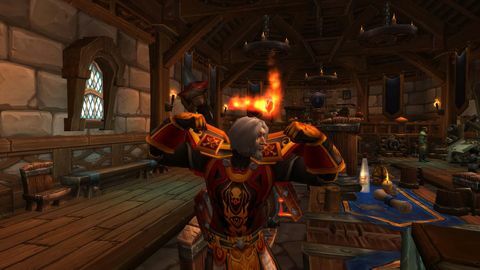 People wondered why Blizzard held off on the player housing concept so long, despite their repeated assertion that they wouldn’t do anything like it until they were ready to do it right, and the Garrison seemingly proves their point. It’s a wonderful implementation of the concept, and far superior to the farming plot included in Mists of Pandaria. One thing that irks me a little, however, is that the loot in the dungeons is all the same. Not basically the same, but the same. There are some unique pieces in dungeons, but many of the items that drop can be found in any of the Warlords instances. Not only that, but they drop at six different item levels for the most part, so there’s every chance you’ll upgrade an item with another version of the same thing. That’s not the most exciting experience I can imagine from the possible loot scenarios, and it does feel a little… lacking in terms of developer imagination. Oh well, it’s not a biggie, but it’s a niggle nonetheless.